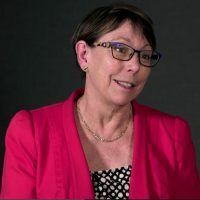 We recently sat down with former Relationships Australia South Australia CEO, Judith Cross, to talk about her experience as a leader in the Community Services sector and what is needed to build a resilient and responsive sector into the future. Judith is part of the faculty for the Advanced Diploma of Community Sector Management, which is enrolling now for a 26 April start. Q: Tell us about your career in the Community Services sector and what has motivated you over the course of your career? I’ve been working in the Community Services sector for 30 years. I originally trained as a social worker because I wanted to improve the lives of people who had significant disadvantage. From there I went into management because I also wanted to introduce the policies that we have in our community. Q: Tell us about taking on the role at Relationships Australia South Australia and how the organisation has evolved? I started working at RASA in 2001, at that time we only had a few services, and the organisation was quite narrowly focused on relationship counselling and family dispute resolution. One of my first agendas was to broaden the scope of who was accessing our services, because we weren’t seeing many people from Aboriginal or multicultural backgrounds. We took the services out into the community to reach out to those client groups. We built strong relationships with the leaders in those communities so that we were working out what people needed and scoping the services to fit people’s needs. Q: What kind of qualities do you think managers and leaders will need in the future of the Community Services sector? The Community Services sector is certainly changing, but the qualities that are needed in leaders are the same. This means a real level of passion, of diligence, of following through to achieve the changes that we need. The other thing that’s needed is a strong theoretical base to the work we are doing. Whilst learning from our mistakes is one way of doing things, it’s certainly easier if we don’t make the mistakes in the first place. Having training in leadership and management skills is important, as is having the opportunity to practice these skills. It’s also important to reflect on the qualities that you are wanting to have as a leader and to achieve your potential in that area. Q: You’ve recently retired, but you are still involved as a facilitator of the Advanced Diploma of Community Sector Management through the Australian Institute of Social Relations. Can you tell us a bit about why you have taken that on? One of the outcomes of working in Community Sector Management for 30 years is the opportunity to now share some of the things that I’ve learned along the way. The combination of theory and experience enables us to assist other people to develop their skills in the area. There are many complex and difficult problems that we encounter. In the Community Services sector I don’t think we ever have enough resources and the funding is always scarce. It’s quite hard sometimes finding the right personnel to do the work that we need to do, and to ensure that people don’t burn out. Managing teams, small departments or entire organisations can be quite a complex task. Being part of the faculty for this course, I hope to help people to develop the knowledge and skills that they need to reach their potential. To learn more about the Advanced Diploma of Community Sector Management, or to enrol now, visit the website here.